Security Incident and Event Management (SIEM) technology is widely known across industry as a tool which performs threat detection and security incident response through real-time collection and analysis of events. It also delivers compliance reporting and incident investigation through analysis of historical data from various event sources. SIEM tools have evolved over the past 15-plus years and have finally reached mainstream organizations. A decade ago, SIEM was looked as a good to have tool to monitor security incidents. But today, SIEM's role as the central security monitoring technology is well-established and has now become a necessity for detection of advance and complex attacks. Though the technology and products in the market are not new, many organizations still struggle with implementation of SIEM which can help them accurately detect security attacks and just not bombard with thousands of false positive alerts on the screen. Many SIEMs run in an out-of-the-box configuration which do not serve any good purpose for attack detection. And for an SIEM, a big investment is required year on year with not much of valuable returns. So how is it you make it effective to do its job and serve the purpose it has been deployed for? The answer for effective implementation of SIEM lies in customizing it and tightly integrating with your architecture. Unlike point solutions for fighting specific threats, these tools demand an understanding of business objectives, its assets, architecture, processes, people roles, threats, use cases, data sources etc. and create an integrated map of the same which will be focused towards detecting accurate and actionable alerts. It is vital to ensure that a SIEM solution is designed not as a point solution, but as part of a security monitoring program - complete with processes, practices, workflows and dedicated skilled personnel. We at ANZEN, with our year’s long expertise in SIEM designing, become a perfect fit for satisfying your needs in building an effective SIEM. We are pioneers in SIEM consulting and by engaging ANZEN’s rich skill sets, you would transform your SIEM into an intelligence platform that delivers a business value through accurate and actionable alerts thereby reducing your operational expenditures on skilled resources and increase your incident response effectiveness and efficiency. New SIEM Implementation - SIEM implementations are never out-of-the-box. It has to be customized as per business requirements and our experts do exactly the same. For new SIEM implementations, we combine our service of “SIEM Framework Designing and Review” with “SIEM implementation” service and provide you the best possible SIEM deployment. SIEM Upgrades – Upgrading existing SIEMs is a complex activity. You need to ensure the existing content and data in SIEM is intact while new features are added post upgrade. ANZEN provides upgrading of SIEM in a smooth and efficient way ensuring your content and data is intact and there are no issues post upgrade. SIEM is a mature security device and its deployment is equally complex. If deployment design is not prepared before implementing a SIEM, it can cause blunders for security monitoring. For any business to successfully deploy an SIEM, it is first required to design a deployment architecture which can cater to security monitoring needs. 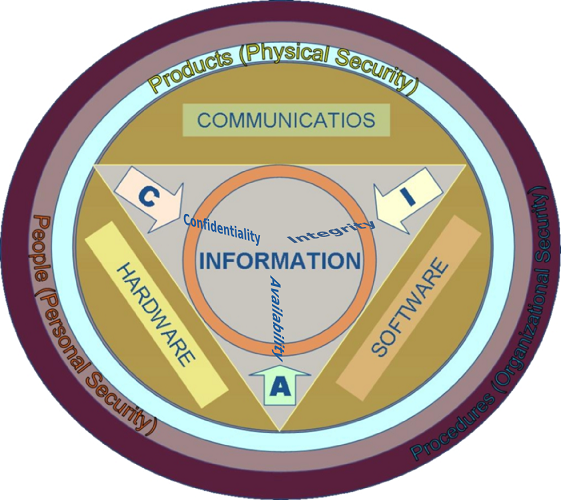 In case, a SIEM is already deployed, it needs to be assessed periodically for maturity and enhancing its capabilities. ANZEN’s “SIEM Framework Designing and Review”service helps you in both of these needs by building a robust SIEM deployment architecture and periodic reviews of your implementation. We bring along expertise of deploying SIEMs for critical infrastructures and maturing them further to ensure detection of attacks under the changing threat landscape. The purpose of deploying SIEM is monitoring of threats against the organization. This requires a methodical approach to identify the threats for business and develop security measures to defend against the same. This exercise is normally termed as Threat Modelling. Under this service we engage with your key business stakeholders to understand your business functioning and identify the threats to your business. Basis the identified threats, we develop security Use Cases for monitoring by taking into consideration the security controls which have been deployed by the organization. Apart from this, we provide valuable insights on security controls which are currently lacking for holistic security monitoring. This service caters to effective deployment of security monitoring use cases in SIEM. Once use cases are designed, the most critical aspect is to identify the Log Sources which can provide relevant events for monitoring. This is not limited to identification but also involves necessary changes in the deployed security controls to generate the required Events of Interest (EOI) such as Windows Audit Policy, IPS signatures etc. Once the Events of Interest (EOI) are available these are integrated with SIEM. This may involve developing custom parsers for in-house applications. Post event integration, content is developed in SIEM such as Rules, Reports, Dashboards etc. as per the designed use cases. ANZEN provides this SIEM Use Case service for Uses Cases developed under “SIEM for Business” service as well as can assist organizations to deploy their in-house developed use cases. We have experts which will add the required intelligence to your SIEM for making it the most effective tool for security monitoring. We also provide maturity assessment service for use case deployments wherein your existing deployed content is assessed and tuned to reduce the false positives and increase attack detection. As we know, SOC is a combination of People, Process and Technology. Even if you have the most successful deployment of SIEM, it may turn fruitless if you do not have trained staff to manage and operate the SIEM. ANZEN can deliver its SIEM expertise to our staff by engaging into a training program. We train your staff on SIEM considering your SIEM deployment to retrieve maximum value from your SIEM investments. We just don’t do plain product trainings but also infuse SIEM conceptual knowledge for performing an efficient incident response with the use of SIEM. We also offer customized service package by suitably combining the above services as per your need and ensure you receive a value added service. As we go by our motto, we provide you end-to-end SIEM consulting upon availing all of the above services. Upon engaging our SIEM consulting services you would definitely identify deriving returns on your investments for SIEM covering all aspects of people, process and technology.